Pedals de Foc Non Stop is the hardest MTB Ultramarathon in Europe and the first of Spain. It began in 2006 and each time has more participants. It uses as a base the track of the cyclotourist route by stages Pedals de Foc, with departure and arrival in Vielha (Lleida), a route that above all stands out for the extraordinary natural beauty and landscapes. The physical requirement of the Non Stop version is maximum, with 213 km and 6,200 meters of accumulated positive slope, in a route that runs along the perimeter of the National Park of Aigüestortes and Estany de Sant Maurici, in the heart of the Catalan Pyrenees. It is a big personal challenge for any biker, whatever their level is. Although the Pedales del Mundo Cycling Club has been organizing this event since 2006, the “Ultramarathon” BTT distance (more than 120km) was not officially recognized in the world until 2014, when the Federació Catalana de Ciclisme did it and the MTB Ultramarathon Series by Pedales del Mundo were the first Ultramarathon circuit in mountain bike with official recognition. The result was the first Copa Catalana BTT Ultramarathon (circuito of 3 events) and the MTB Ultramarathon Catalonian Championships (Pedals de Foc Non Stop 2014). In the 2015 season another step was taken in the growth and officiality of ultramarathon distance, with the Federación Española de Ciclismo recognizing this distance officially, creating the first Open de España BTT Ultramarathon (consisting of 3 events organized by CC Pedales del Mundo) and the first MTB Ultramarathon Spanish Championships: Pedals de Foc Non Stop 2015. In the 2016 season the Open de España was organized again and Pedals de Foc Non Stop was the venue of Spanish Championships again, with 800 cyclists, historical record of the race. 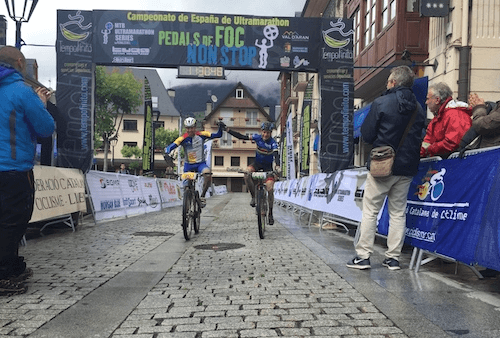 In 2017 another step was taken, achieving the official recognition of the ultramarathon distance by the UEC and UCI, and the CC Pedales del Mundo was awarded with the organization of the first European MTB Ultramarathon Championship, which was held in the mythical Pedals de Foc Non Stop on July 1, 2017. In 2018 this happened again, with 967 bikers registered in the race! 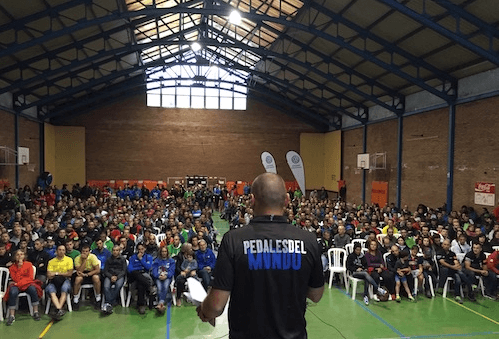 In addition, the CC Pedales del Mundo will also organize in 2019 the European championships in June 29, according to the agreement reached with the UEC.